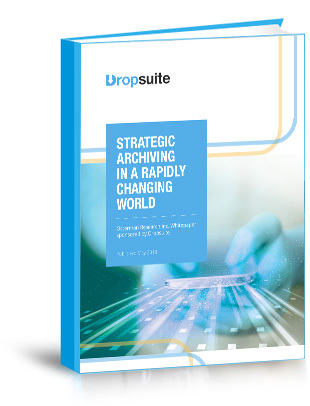 This new white paper created by Osterman Research and commissioned by Dropsuite, sheds light into the latest email archiving practices, content services and the emerging usage of data insights to impact businesses. *By submitting this form you agree to receive sales and marketing materials about Dropsuite and its products. Data privacy is important to us. Unsubscribe at any time. Your information will not be shared.